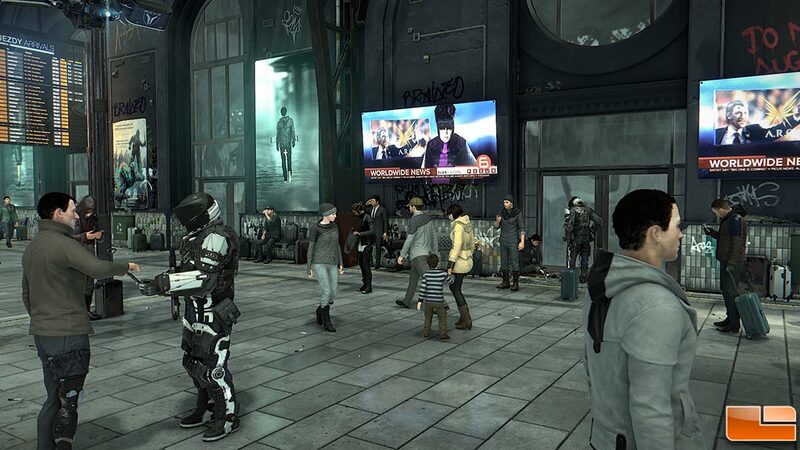 Deus Ex: Mankind Divided is an action role-playing stealth video game developed by Eidos Montreal and published by Square Enix. Set in a cyberpunk-themed dystopian world in 2029, two years after the events of Human Revolution, Mankind Divided features the return of Adam Jensen from the previous game, Deus Ex: Human Revolution, with new technology and body augmentations. The game was released on August 23rd, 2016 for PC users. 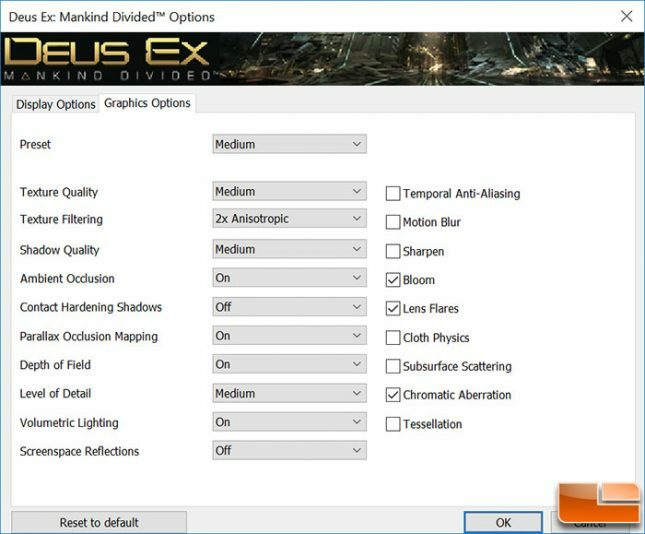 Deus Ex: Mankind Divided uses a heavily modified version of the Glacier 2 engine that has been tweaked so much that they are now calling it the Dawn game engine. 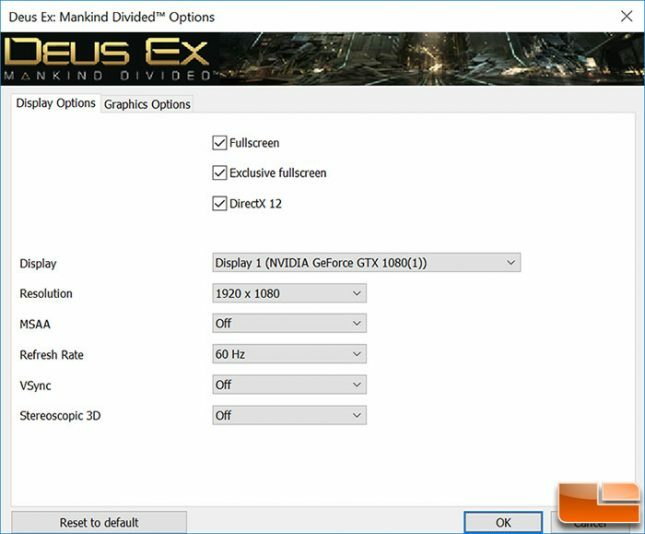 We took a look at GPU performance using the DX12 API setting paired with the ‘Medium’ image quality preset with MSAA and VSync turned off. We picked to run just ‘Medium’ image quality settings due to how tough this game title is to render and we feel that most gamers will use this setting. Benchmark Results: In Deus Ex: Mankind Divided with the NVIDIA GeForce GTX 1080 discrete desktop graphics card installed in the system we saw a jump in performance between DDR4-2133 and DDR4-3200 by an impressive 16%. 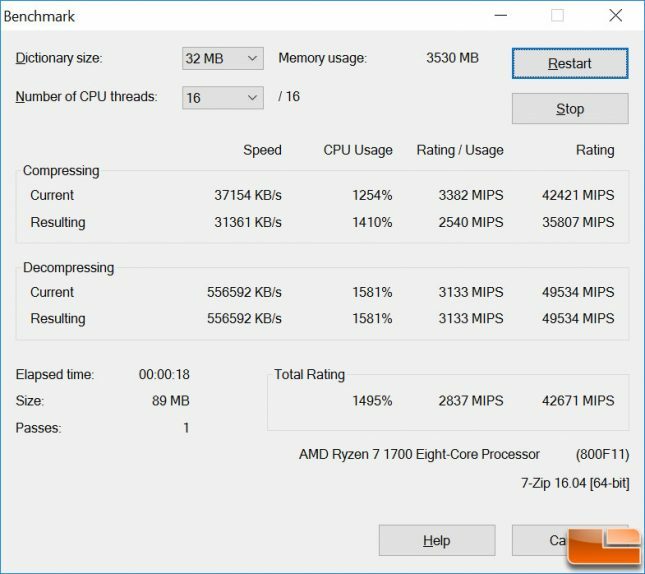 The AMD Ryzen 7 1700 processor overclocked up to 4 GHz certainly likes the memory bandwidth for 1080P gaming. The bad news is that by the time you read 2560 x 1440 (1440P), the system is more GPU botttlenecked, so memory clock speed didn’t impact performance at all. The same thing proved true for 4K gaming performance, so if you aren’t GPU limited running the fastest memory clock speed possible will greatly help 1080P gaming performance. 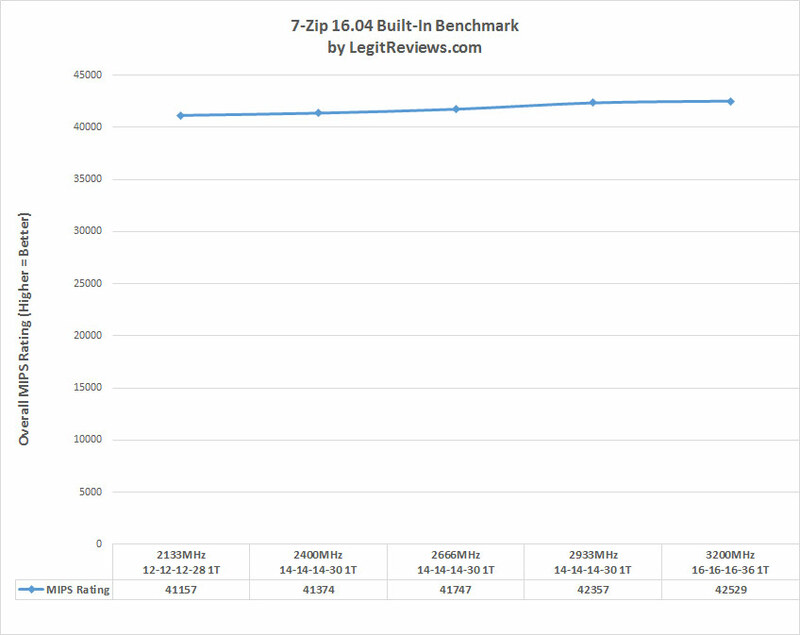 We expected the performance increase to be pretty linear and have no answer for why the DDR4 2666MHz score wasn’t a touch higher, but it was still an improvement over 2400 MHz! 7-Zip is a popular open source file archiver with a high compression ratio in 7z format with LZMA and LZMA2 compression. 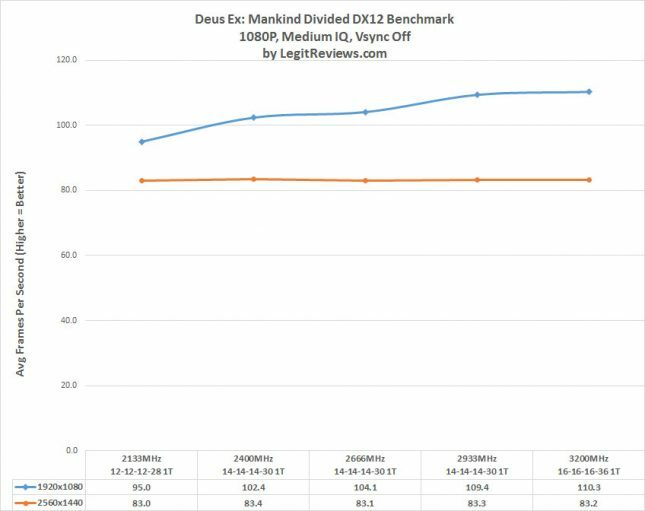 We use the built-in benchmark test with stock settings to see how memory clock frequencies impact compression performance. Benchmark Results: Using the latest build of 7-Zip showed that we saw a 3.3% performance gain by going from 2133 MHz to 3200 MHz on the DDR4 memory kit. Not massive performance gains by any means, but you do get a small performance boost with higher clock speeds when it comes to compression tasks.